Full 12 hour training includes 4 hours of home study and 8 hours of classroom participation. Anyone who has completed the APhA Immunization training course within the past 2 years and wants prescriptive authority for New Mexico, must complete 2hrs. of childhood vaccination updates and review New Mexico laws and protocols. The fee for this 2hr. training is $100 for NMPhA Members. The participant must have proof of their APhA participation as well as current CPR status. These 2 hours DO NOT MEET the requirement for BOP required live CE following certification. This training program will meet the requirements for a Certificate from the New Mexico Pharmacists Association for Pharmacist Vaccination Prescribing Authority. This is the approved training program required by regulations approved by the Board of Medicine, the Board of Nursing and the Board of Pharmacy. The “Train the Trainer” program is complimentary for anyone who has previously completed the 12hr. course and is willing to commit to help NMPhA in teaching future training sessions. Please contact the NMPhA office directly if you are interested. The home-study exam is linked below in the Handouts area along with the course materials. We will no longer print out handout materials. Purpose: This application-based program will provide education and training to assist pharmacists in implementing a successful immunization practice including pharmacist prescribing of vaccinations. 7) Evaluate Resources – a) Order Forms, b) Educational Materials, c) Multi-Lingual Products and d) Manufacturer Information. The home-study exam (linked below) is also required for participants to provide prior to the class. Part 2: Classroom component of 8 hours You must complete the home study component prior to the classroom component. You must demonstrate current LIVE CPR certification before the Pharmacist Prescriptive Authority Certificate is issued. You MUST COMPLETE the combined 12 contact hours (1.2 CEU’s). No partial credit will be given. You must score a passing grade on the program exams. as a provider of continuing pharmacy education. The ACPE Universal Activity Number that has been assigned for the 8.0/0.8 CEUs Live offering is #0104-0000-17-054-L01-P & the UAN assigned for the 4./0.4 CEUs Home-Study offering is #0104-0000-17-053-H04-P. 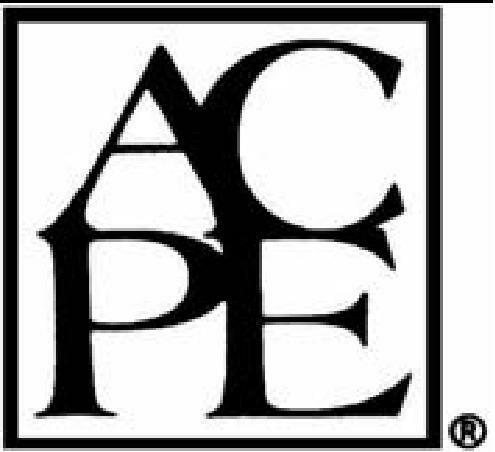 The ACPE UAN for the 8.0/0.8CEUs ‘Train the Trainer’ program is #0104-0000-18-001-L01-P and for the 2.0/0.2 CEU’s ‘Childhood Immunizations & Pharmacist Prescribing Law’ is #0104-0000-16-055-L04-P.
NMPhA will input the CPE credits into the CPE Monitor Database within 60 days based on the information provided on evaluation form.